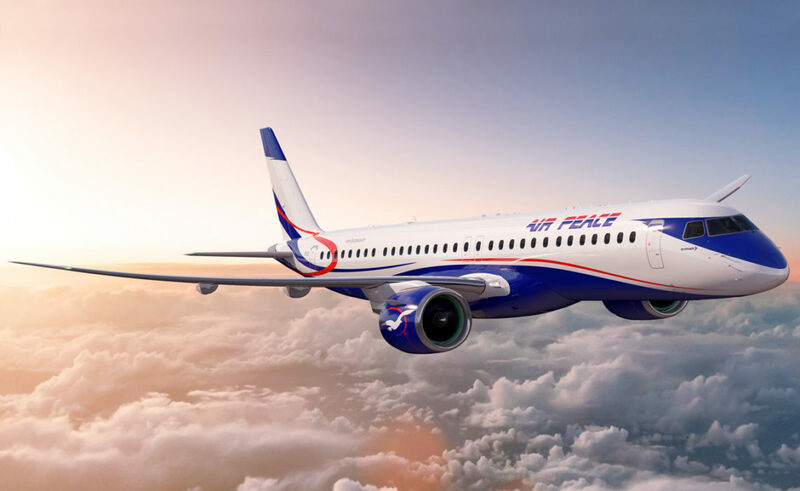 Embraer has signed a firm order for ten E195-E2 jets with Air Peace, Nigeria’s largest airline. The order was announced during Embraer’s Africa Airline Business Seminar in Mauritius. With this order, Air Peace will become the first E-Jets E2 operator in Africa. The contract includes purchase rights for a further 20 E195-E2. With all purchase rights being exercised, the contract has a value of US$2.12 billion, based on current list prices. The order will be included in Embraer’s 2019 second-quarter backlog. Air Peace has grown rapidly since it commenced flight operations in 2014 and is now the largest airline in west Africa. The airline intends to address the significant untapped demand in the African market with the E195-E2, the newest, most efficient, and most comfortable aircraft in the segment. Air Peace chairman, Allen Onyema, said: “Embraer’s new E195-E2 presents us with a marvel of economic performance. “It’s also great that we will be the first E2 operator on the African continent. Air Peace subsidiary, Air Peace Hopper, started operating six ERJ145 last year on short thin routes. “Air Peace embodies the kind of pioneering spirit that Embraer loves. “The airline was established to bring highly skilled work opportunities to the people of Nigeria and to boost connectivity, which in turn significantly contributed to the economy in the region. “Air Peace has delivered successfully on both aims, and has become a fast-growing successful airline. “It’s great to now have them onboard the E2 as well,” said Arjan Meijer, chief commercial officer, Embraer Commercial Aviation.